Here is the last Christmas card I made this year. It's for my Hubby... my Mr Perfect. 8 years ago, we were spending Christmas in New York. I also used my window diecut. and I fussy-cut the little cats out of a piece of wrapping paper. and I also die cut the holly / berries, the bunting and letters. The sentiment at the top is stamped. 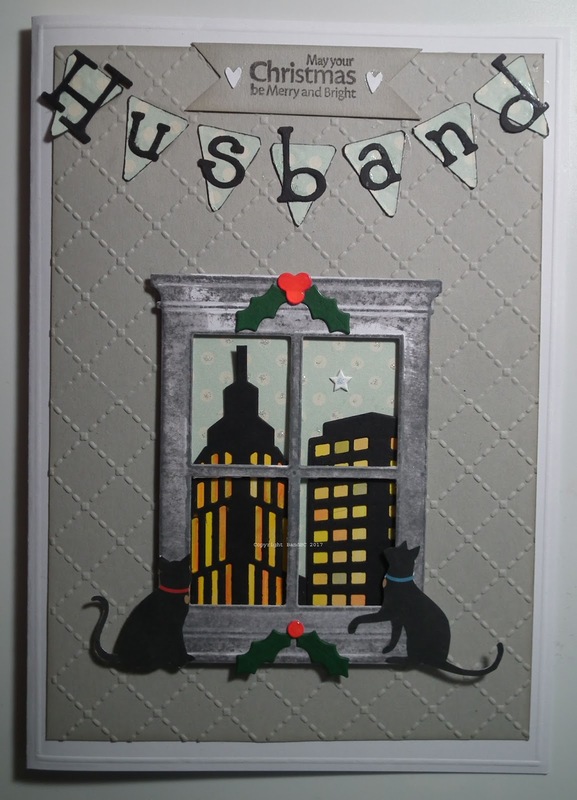 Great card - I love that skyline! Thanks for playing along at The Male Room Challenge Blog. Merry Christmas! I hope he liked it, it's fab. Thank you for sharing it with us at TMR. 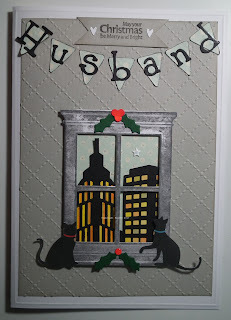 Fabulous die cuts and a card creation to recall a magical memory. Thank you for sharing with us over at That's Crafty.